This post is sponsored by Basic Invite. All opinions are mine alone. I only feature products that I use and love. Thank you so much for supporting the brands that support my blog. Use code holi30 for 30% off your order! 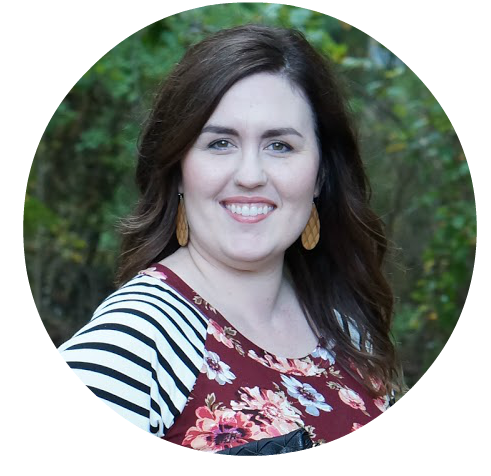 Friends, I have been so excited to share this post with you! This time of year is my absolute favorite, and I’ve come across a brand that will make all your holiday parties even more streamlined and easy. 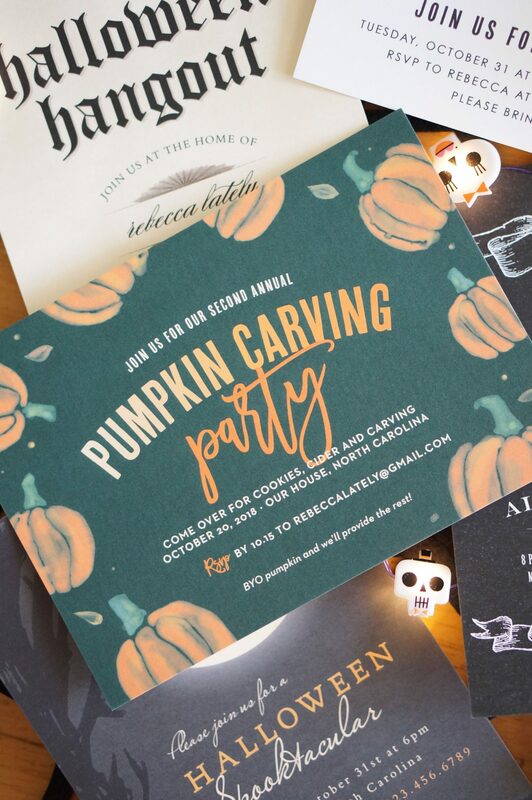 Our annual pumpkin carving is coming up, and we’ve decided to make it really official by sending out invitations. There just something about a paper invitation that makes the event seem more special and exciting. 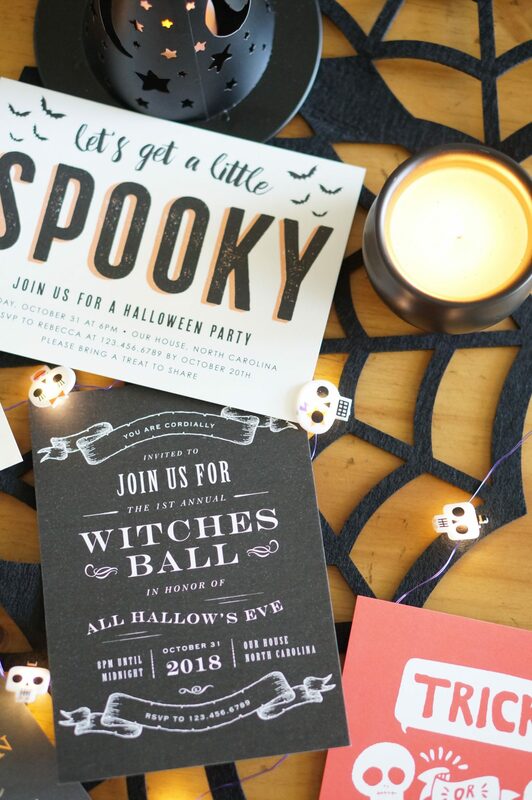 Basic Invite sent me some samples to choose from, and at the end of this post I will share the invitation that we chose for our pumpkin carving party. 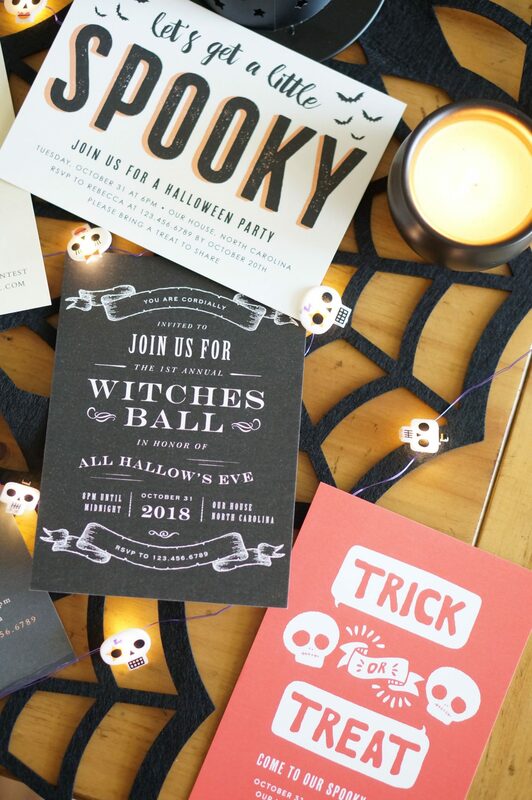 They have the best selection of Halloween party invitations! 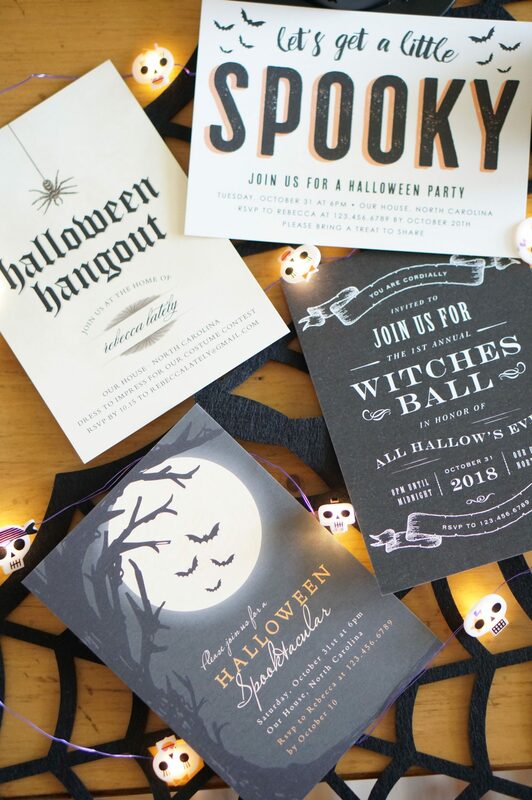 While I was choosing the samples, I was very, very impressed with Basic Invite’s selection of Halloween party invitations. Their designs are so fun and unique, and they offer over 500 different ones. 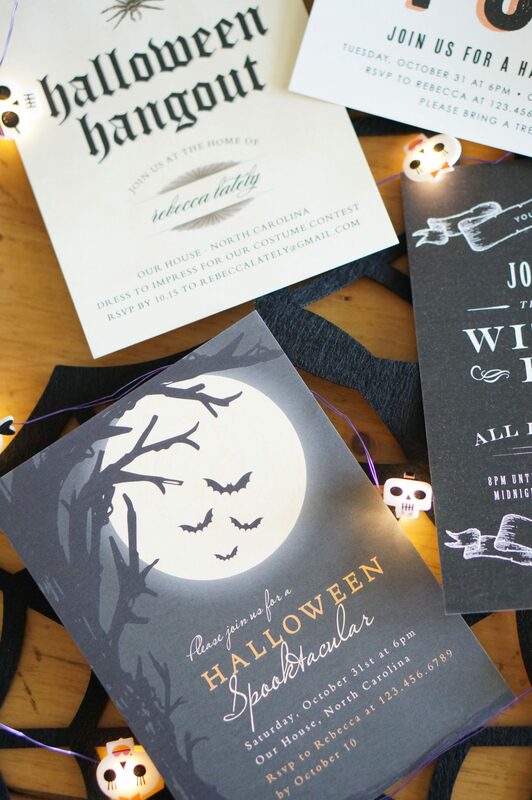 I’ve never seen some of these designs before, which is really important to me when I’m sending out an invitation. I want the design to pop, look fun, and catch the eyes of my guests. Their designs are customizable, which is really helpful if you have a specific color scheme you’re looking for. Their invitation color options span across 180 different shades, which is far and beyond any customizing I’ve ever done with invitations. And you can order samples! 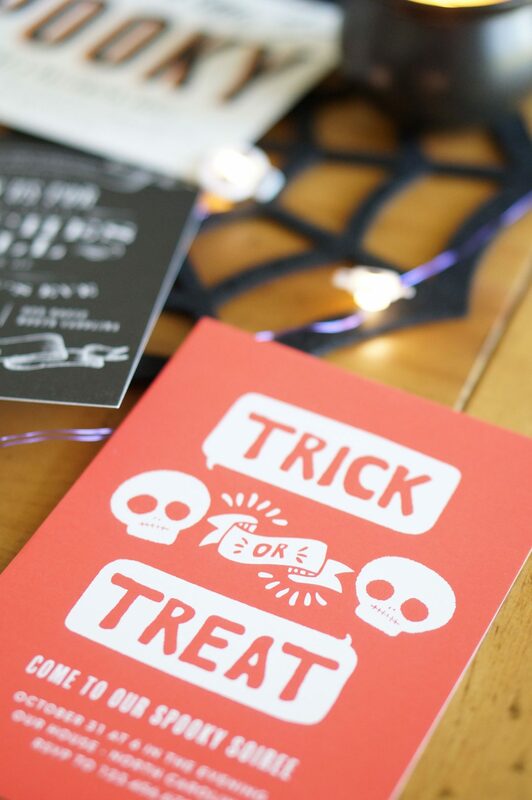 You can personalize a card and get the actual sample of the card in the mail. I love that, especially if I’m planning far in advance and want to make sure every single detail is perfect. I ordered only white envelopes for these sample cards, but they also offer 40 different colors for envelopes. How fun would that be? It would stand out in your guests’ mail boxes! You can also have your envelopes addressed, which is a huge help if you’re short on time. Our kids will be passing out invitations to their friends, so I opted for the blank envelopes this time. I am so excited for you all to see these designs. 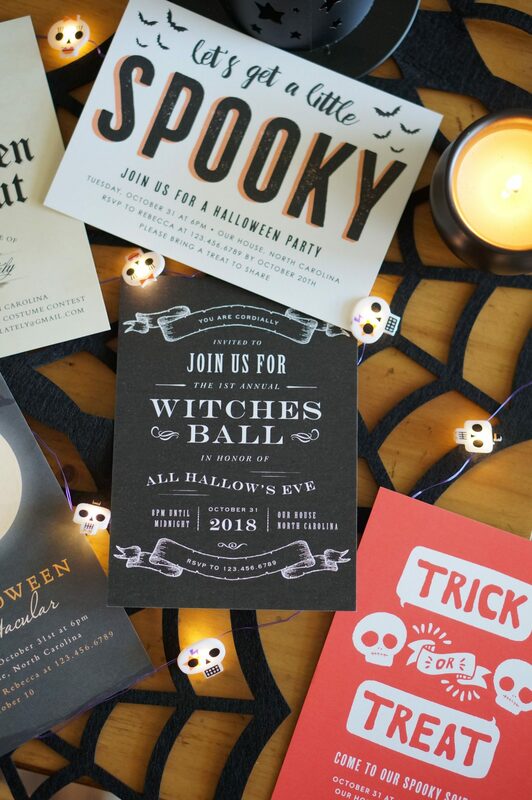 Most of these are for Halloween parties, but I could’ve easily customized all the wording to fit a pumpkin carving invite. As I was ordering the samples, I went completely through the personalization process and was just so impressed. They have the layout all set for you so the design looks good, but you can go in and edit the words and colors as you need to. 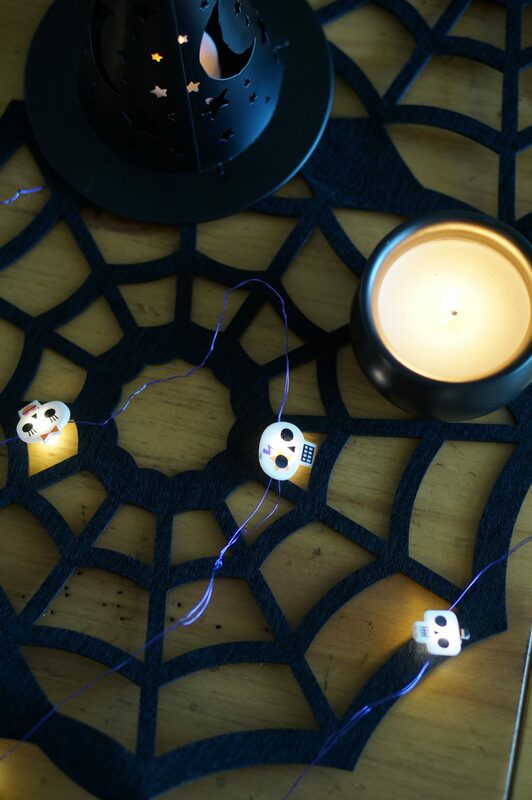 On the note of carving pumpkins with kids, I wrote a blog post years ago about some tips we use. I know that pumpkin carving with kids sounds like a daunting and possible dangerous task, but these tips might help you. Now, on to the invitations! This is the card we decided on for our pumpkin carving party! I couldn’t resist the artistic little pumpkins, and the shades of green and orange are simply perfect. 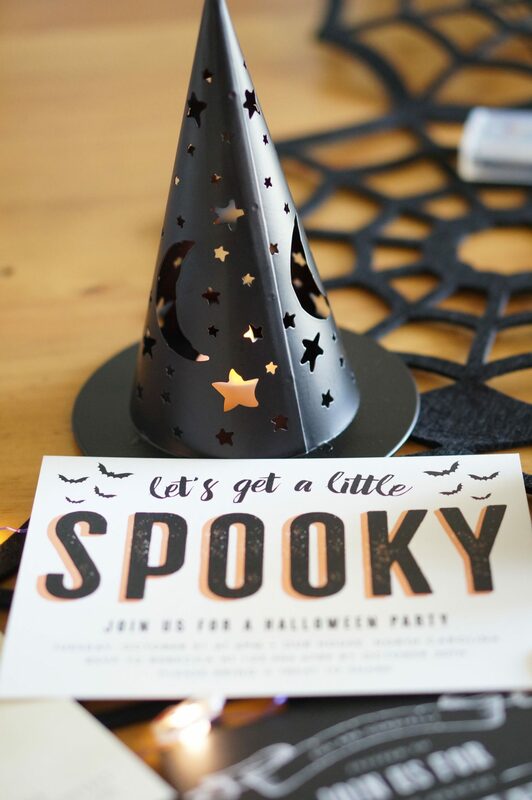 I’ve been holding onto our invitations until I shared this with you all, so now our kids can excitedly invite their friends for the festivities! What do you think about our invite? I am so, so excited about it! If you’re on the lookout for some easily customizable cards, you should also check out their online Christmas cards and holiday cards maker. 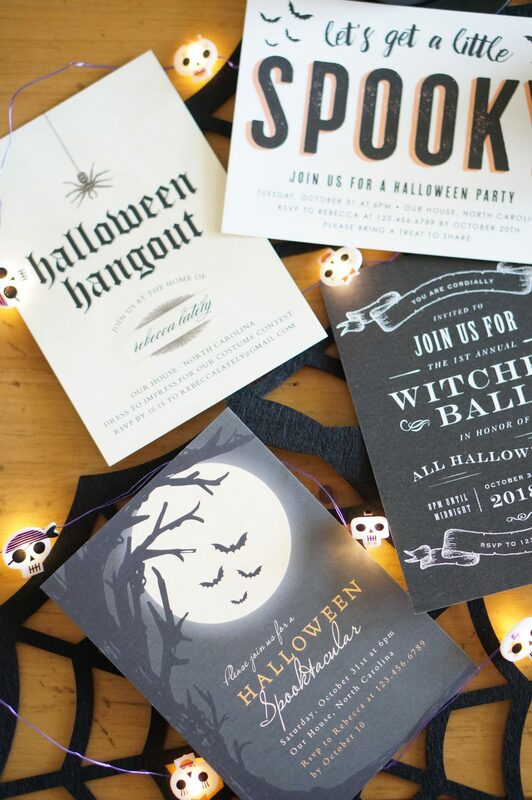 You can also see their gorgeous gold, silver, and rose gold foil that will really add something special to your party color scheme. Don’t forget to use coupon code holi30 for 30% off your order!